THE MT Hawthorn Streets and Lanes Festival is ready to get off and racing. The 2019 festival will feature live music, food, pop-up street bars, billy carts, face painting, roving entertainers, a wellness zone, art activations and a fashion hub. Mt Hawthorn Hub chairman Lloyd Blake said the festival had proved extremely popular. “It gets chock-a-block,” he said. Kids will be able to take on a billy cart challenge near the post office, with the York Men’s Shed bringing carts. 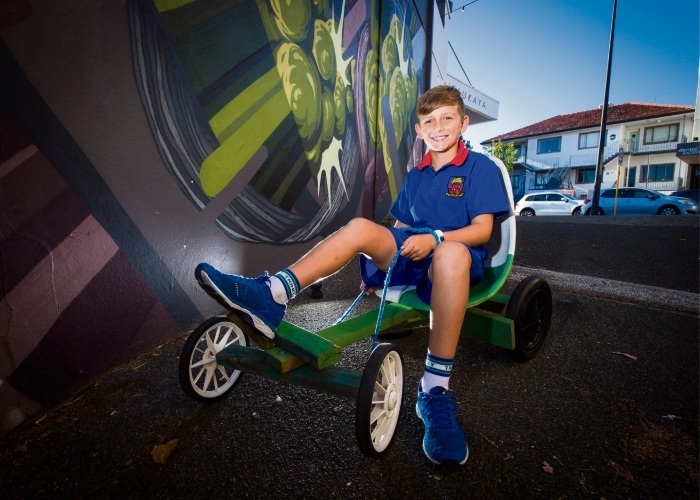 “They totally dismantle – the kids, particularly from 7 to 11, can come to the racetrack and first of all have to build their billy cart,” Mr Blake said. “The York guys will be there to help them assemble the carts, and they’ll use parent power to push them around the track.”Vintage cars and chequered flags will complete the race track atmosphere. Mt Hawthorn Hub’s Sophie Brinklow said the festival made locals very proud and showcased the area. “It’s an opportunity for people to connect with each other,” she said. The Mt Hawthorn Streets and Lanes Festival takes place on Sunday, May 5, from 12pm to 7pm.